Artists carve out a limited run of 300. 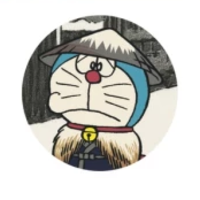 Fujiko F. Fujio's long-running classic Doraemon has been finding its way into various works of art for the last several years. 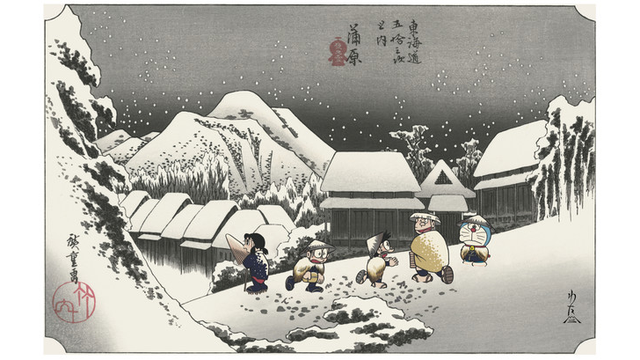 Most recently, the earless future cat and friends have wandered into "Evening Snow at Kanbara," from the series "Fifty-Three Stations of the Tokaido" by ukiyo-e master Hiroshige. The prints are limited to a signed, stamped run of 300, selling for 40,960 yen each. Sales are now open for the one-of-a-kind collectible.